Accountant for Garage Services Wigan, Bolton, Preston and Manchester. Making sure MOT sales are correctly recognised. Taking account of any vehicle sales. Making sure you take advantage of employment. Correct administration of the VAT Scheme. Tax50 are experts in administrating the VAT Scheme correctly. We also have many years experience in dealing with HMRC inspections and investigations. Tax50 will take the burden of compliance off your hands and help you enjoy running your business. Tax50 gives you advice on how to best utilise the incorporation of your business as a Limited Company. Tax50 will also help you manage your affairs in the most efficient manner possible. The advice from Tax50 is tailored to suit your business and lifestyle requirements, helping you understand how to best increase your income while reducing your financial exposure. Tax50 will also help you avoid costly late filing penalties. No matter what size of business you have, Tax50 has the right Accounting Solution for you. Let Tax50 help you focus on growing your business. We will make sure you get the best advice. Tax50 want to help your business thrive. Tax50 also has a large network of professionals that can help you with related matters, such as Bridging Loans, bank accounts, Residential and Commercial Mortgages (including Buy to Let) and corporate recovery. 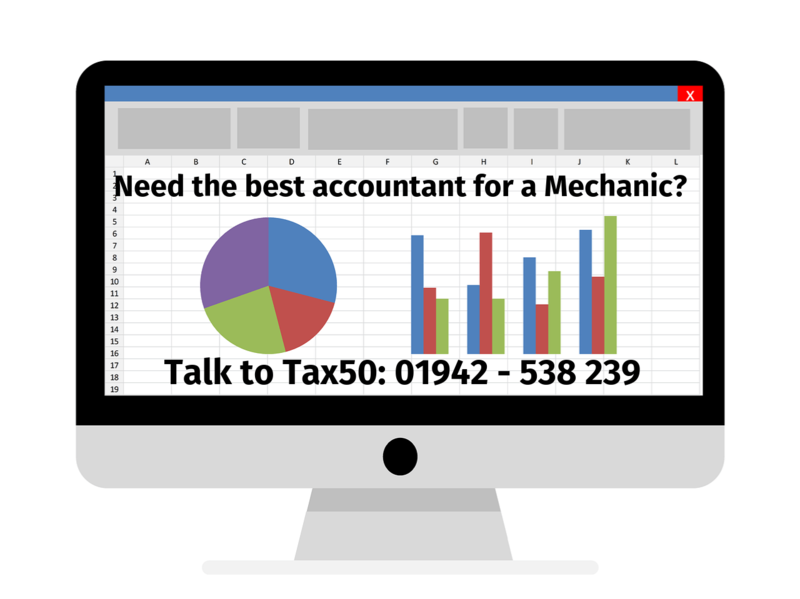 If you are in the Garage Services & Auto Repair industry and you are looking for the best advice available to you then Tax50 is the right specialist and experienced accountant for you.